To commemorate that dark moment in world history, here are four unrelated pieces of ephemera. At least three of them fall into the categories of "Why Hasn't This Been Thrown Away" and "Who Would Scan And Blog This." I think you must admit, though, that this first piece is a nice bit of vintage artwork. 1. 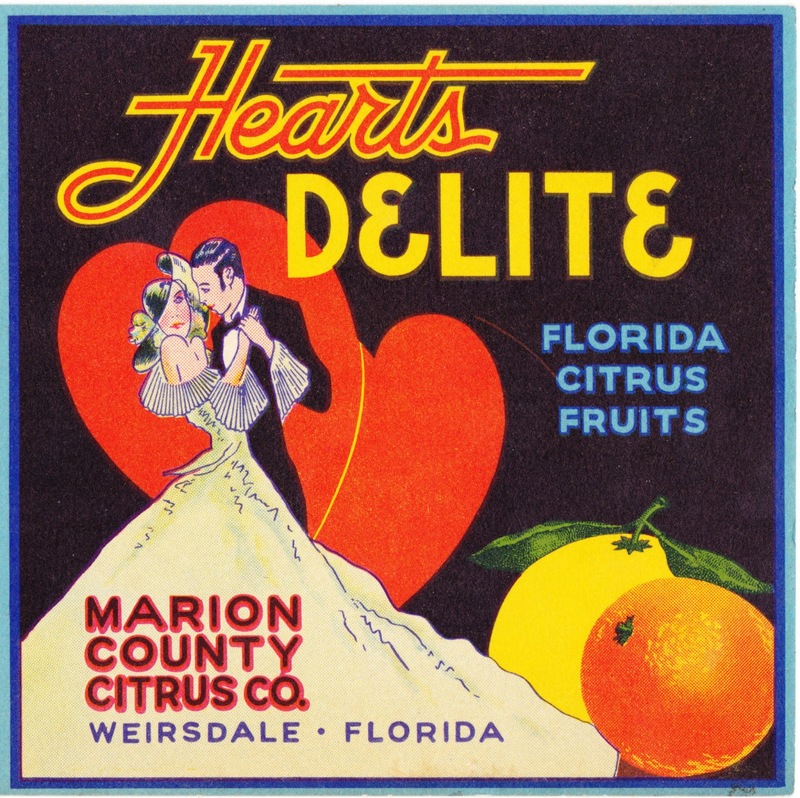 Unused label (probably a crate label) for Hearts Delite citrus fruits from the Marion County Citrus Company in Weirsdale, Florida. 2. 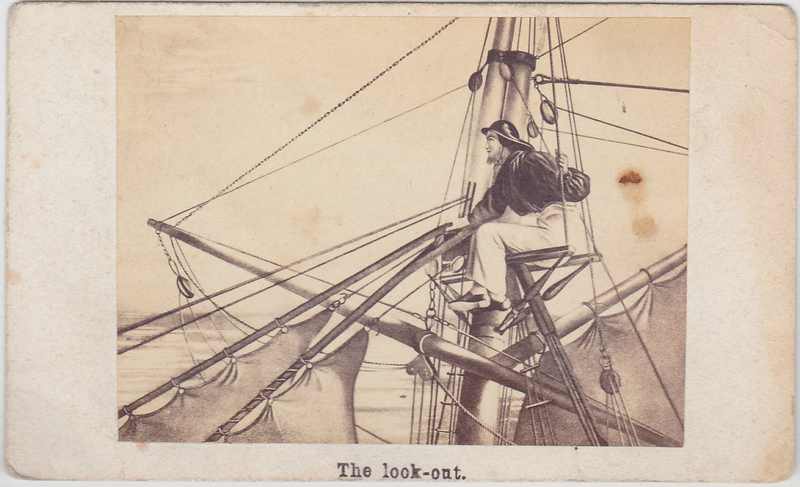 A four-inch-wide card with an illustration labeled "The look-out." Nothing else is written on the front or back. 3. 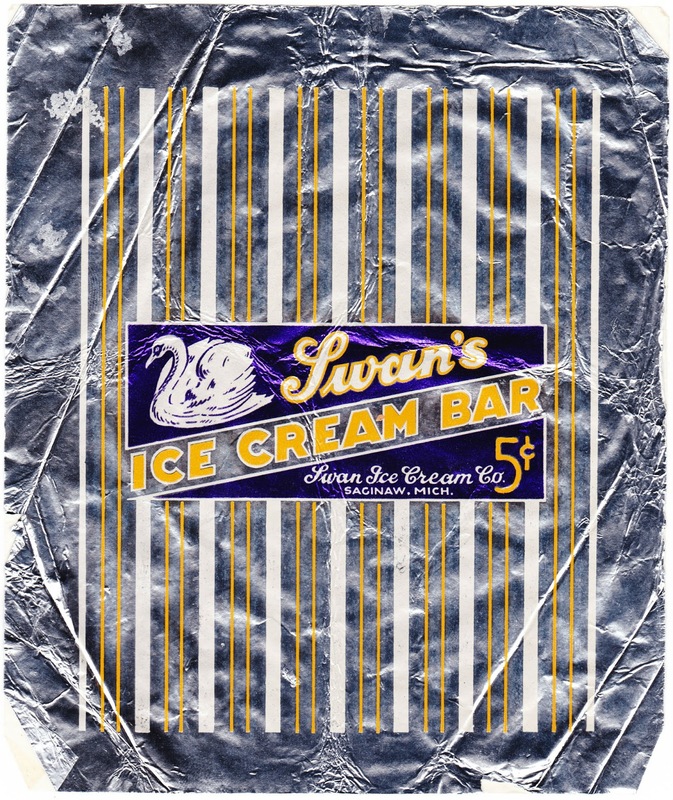 An old wrapper from a Swan's Ice Cream Bar, produced by Swan Ice Cream Co. in Saginaw, Michigan. The price was a nickel. 4. 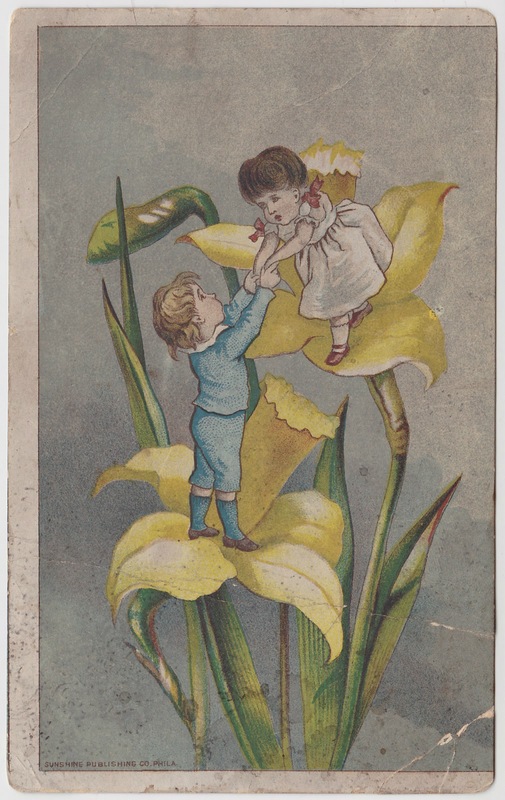 Finally, here's a 3¼-inch-wide illustration card featuring two Tom Thumb-sized children climbing flowers. 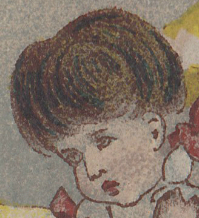 It was produced by Sunshine Publishing Company of Philadelphia, probably in the late 19th century. Here's a closer look at the little girl's oversized head. 1. Just kidding! It was actually Cook's second in command, Zachary Hickes, who was abducted by Khan's men. Hickes later escaped and proved instrumental in keeping Leonardo da Vinci's Genesis Device from falling into the hands of the pirates aboard the Kobayashi Maru.